Bronn has just killed Ser Vardis Egen in a duel, and thrown him out of the Moon Door. The Lady of the castle, Lysa Arryn, is furious. Lysa Arryn: You don't fight with honor! There was an idea that spread through the blogs a few weeks ago; a useful way to differentiate new school from old school play styles is to use a metaphor of War versus Sport. (The idea started on an Enworld thread here: Combat as sport vs Combat as war). There is no such thing as a fair fight. Melee fighting is a last resort, and when it happens, players are expected to use every way possible to get an advantage and stack the odds in their favor. The DM is under no obligation to provide balanced encounters, so survival is contingent on the players sizing up threats and responding accordingly, including running. In game terms, Save or Die effects and level drains emphasize the dangers of casual combat. Later editions create the expectation that fights are essentially fair. 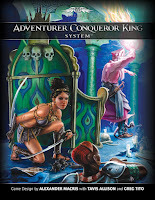 Elements like the challenge rating, encounter level, or encounter experience budget allow and encourage the DM to build combat encounters at or slightly above the group's power level, and the underlying game systems assume opponents are evenly matched. Players can engage in combat with more confidence of victory, and more time is spent working through intricate tactics within the scope of a tactical combat, instead of figuring out ways outside of the combat to skew the results, as in the "War" approach. Wow! Every time I think about the difference between those two approaches to combat, I think of Bronn and last season's A Game of Thrones on HBO. Bronn is a low-born, scrappy mercenary, who survives in a world of powerful, armored knights, through wits and strategy. In the scene from above, he sees an opportunity for profit by agreeing to fight Sir Vardis in a trial by combat. The loser will be thrown out of the Moon Door, an open hole over a yawning abyss; the castle is perched on a mountainside. Ser Vardis expects a straight up duel, a fair fight; Bronn runs away, throwing obstacles in the knight's path like torches and candelabras, he makes the knight chase him up and down some stairs, even using the crowd as a barrier. As Ser Vardis tires out, Bronn hits him in the hamstring from behind, limiting his mobility even further. Then it's all over. Season 2, chronicling the events of A Clash of Kings, should be right around the corner - I think it starts April 1st here in the US. Rock on. If you missed Season 1, it's worth catching online or on-demand... I read the books years ago, but found the TV series an enjoyable romp. 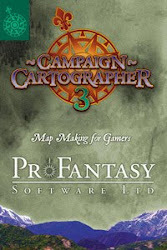 It provides a game master lots of inspiration for power politics in a fantasy game. Not that I play OD&D anyway (though Savage Worlds does adopt a similar "don't expect balanced encounters" ethic), but I really have to disagree with which approach is really "old school." I mean, what's more "old school" than "about 100 years old?" If we really want the definition of old school, shouldn't we ask what the original "fighting-man" would do? Shouldn't we ask ourselves "WWJCD?" What would John Carter do? Would John Carter run and hide? No! Would John Carter stand and fight? Yes! Would John Carter use the terrain to his advantage -- yes, because he isn't an idiot -- but still fight honorably? Of course, and so would Conan, Fafhrd, and the Gray Mouser -- because they knew the joys of a good swordfight. Avoiding combat might be old school D&D, but it isn't Appendix N.
What Bronn did was very tactical so I don't see how it wouldn't fit the 4E model. 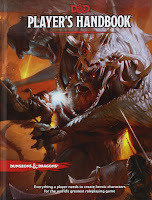 I didn't see any expectation in the 4E rules that player's don't take advantage of opportunities or that they must operate under some honor restrictions. Though, since I've only played 4E all of one time (and found it a bit tedious, admittedly) my understanding may be incomplete. @Sean B: John Carter? Maybe... Conan if he things the foe is worthy (not many of his foes, though)... but Fafrhd and the Gray Mouser??? No way! They wouldn't even accept the trial by combat, they would try to catch the dwarf while he falls and ransom him to whoever pays most. @Trey: Yes, but you would never fight 4 Sers while the crowd throws stones (an unbalanced encounter). This could happen in OD&D, though. If someone challenges the Twain to a fight, they accept the fight. IMO, ERB (John Carter, Tarzan, Carson) is romantic heroism, not "Old School." I like this comparison, Beedo. It's a good metaphor. Bronn's attitude towards combat is "war" and not "sport"; don't expect a fair fight, and do everything you can to tilt the table in your advantage to create an unbalanced situation. We can't tell from the literature or show whether those guys are evenly matched - I'd make Bronn a fairly high level fighter, based on how he handled the hill tribesmen in an earlier episode, and the knight would be lower level but armored. If this were 4E, they couldn't hit each other unless they were somewhat evenly matched because of how attack bonuses and AC scales in that game; otherwise Trey is right that 4E would support clever use of terrain (DMG pg 42) as long as the fight would otherwise work in the system. Sean B - your point extends even further into questioning D&D as literary emulation. Old school characters need to think in terms of meat shields, mercenaries, tricks like flaming oil, setting traps and ambushes, running away when necessary. Things Bronn would do. Would Appendix N characters use dirty tricks? Some Appendix N characters certainly would use dirty tricks. Cudgel's entire skill set is dirty tricks. I have tagged your blog on my own blog, The DM's Screen. Everything you need to know is on my latest post, including a short list of (fun) questions. I look forward to reading you answers - enjoy!